Real Turkeys LLC is owned and managed by Lovett Williams and his daughter, Heather Thomas. Lovett was born in 1935—a sixth generation Floridian. He has a BS degree in zoology from Florida State University, an MS degree in game management from Auburn University, and a PhD in wildlife ecology from the University of Florida. He was a wildlife biologist with the Florida Game and Fresh Water Fish Commission and was the Chief of Florida’s Bureau of Wildlife Research. He entered private business in 1985 as President of Florida Wildlife Services, Inc. and co-owner of Fisheating Creek Hunting Camp in Glades County, Florida. Lovett produces and narrates the Real Turkeys™ audiocassette series for sale on this web site and writes about wild turkey ecology, biology, hunting, and management. He has written in the Journal of Wildlife Management, The Auk, Wilson Bulletin, Wild turkey symposia, and other journals and has received awards for his writing and professional work. 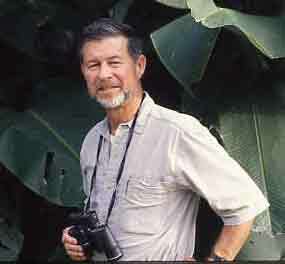 He served on the board of advisors at the formation of the National Wild Turkey Federation before 1973, is a member of The Wildlife Society, a Certified Wildlife Biologist, Elected Member of The American Ornithologists’ Union, life member of the Wilson Ornithological Society, and at one time or another has belonged to most conservation organizations.